Looking at the candidates for Twitpic of the week, this week’s winner wouldn’t be the obvious choice. There were some pretty unique, great views shared this week but what won this week is what inspired this show in the first place, history. Our first trip to Vegas was in 2006 and I didn’t start developing the obsession I share with you weekly until our 2nd trip in 2008. However I’ve always had a history of becoming fascinated with a subject and immersing myself in the topic with a ferocious appetite to learn as much as I can. Two years before our first trip, Martin Scorsese’s movie “The Aviator” inspired one of those obsessions. Like many people, the crazy reclusive period was the first thing that came to mind when you said the name Howard Hughes to me. However, that movie opened my eyes to how truly amazing he was. 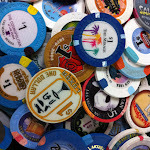 Fast forward to the birth of 360 Vegas, our Vintage Vegas segments and I found that appetite once again, un satiated. So what does all this have to do with the Twitpic of the Week? 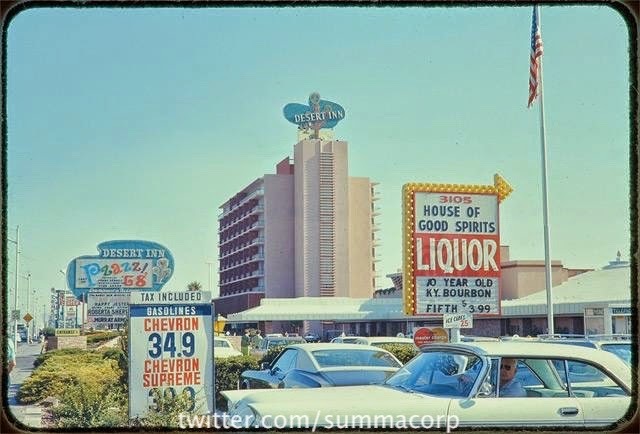 Well this week @summacorp shared a picture of the Dessert Inn during the time Howard Hughes made the top floor his home while he helped Vegas move into the next faze of its evolution from organized crime to corporate ownership. All week I couldn’t stop looking at that picture and thinking “He’s in there, right now! I’m looking at a picture of the Desert Inn, in the last 60s, while Howard Hughes is actually in it”. Something so much more powerful to see this time in history captured by a random person’s camera that elevates is power and I can’t thank @Summacorp for sharing it.